Hayes Valley is a "walker's paradise," is a "biker's paradise" and has excellent transit, according to Walk Score's rating system. So what does the low-end rent on a rental in Hayes Valley look like these days--and what might you get for the price? 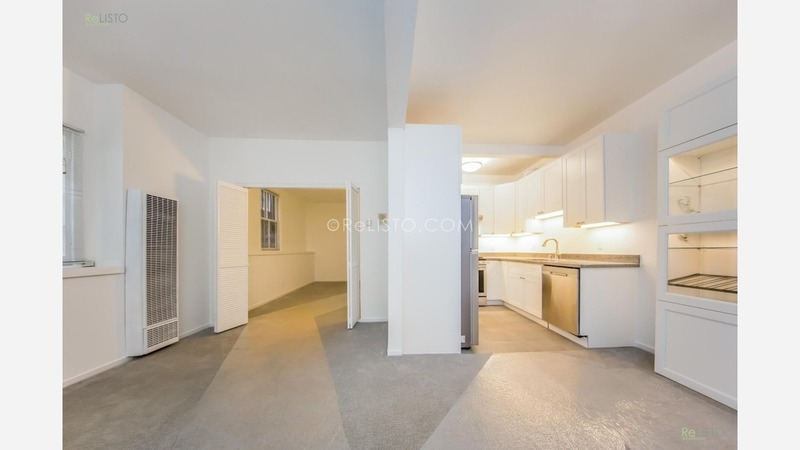 Listed at $2,250 / month, this studio apartment, located at 225 Fell St., is 16.5 percent less than the $2,695 / month median rent for a studio in Hayes Valley. In the unit, expect to find high ceilings, hardwood flooring, a walk-in closet, granite countertops and bay windows. The building offers an elevator, secured entry and on-site laundry. Pet owners, inquire elsewhere: this spot doesn't allow cats or dogs. Here's a 1-bedroom, 1-bathroom condo at 670 Hayes St., which, at 500-square- feet, is going for $3,095 / month. In the unit, expect to find a dishwasher, stainless steel appliances, granite countertops, closet space and ample natural light. Pet owners, take heed: cats and dogs are negotiable. Then there's this apartment, with one bedroom and one and a half bathrooms at 152 Lily St., that's listed at $3,150 / month. In the unit, you'll get hardwood floors, high ceilings, a dishwasher, granite countertops, stainless steel appliances and bay windows. The building boasts on-site laundry, storage space and secured entry. Animals are not allowed. Listed at $3,195 / month, this 600-square-foot 1-bedroom, 1-bathroom apartment is located at 145 Fell St. In the unit, you'll find central heating, hardwood flooring, stainless steel appliances, recessed lighting and exposed brick. The building features an elevator, on-site management, secured entry and on-site laundry. Good news for animal lovers: both dogs and cats are welcome here.